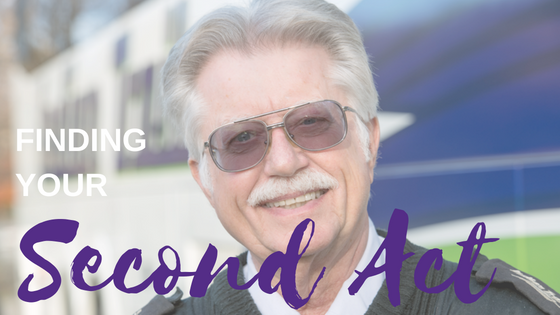 Retirement is on your horizon and you know you want to find a “second act” that is fun, fulfilling, and generates income, but where to begin? Think passion! Find something you love, something you have always wanted to do but never had the time — sort of a second-career bucket list. You already spent your entire first career working for a paycheck, so now you have earned the right to do something that really makes you happy. If your moments of inspiration are fleeting, start a list and add to it every time you’re inspired by something on television, in a book or magazine, or on the radio. Friends and family may also have ideas for inspiration. Every little thing that inspires you has potential. Focus that potential into a list of options that strike an inspiring chord. If a career has the potential to inspire you, it has the potential to make you happy. What do you really want to do? Maybe you want to help others in your community. Perhaps you would love to travel, to get paid to see new places. Or maybe turning your hobby — baking, woodworking, decorating, etc. — into a second career would inspire you. Another thing to consider is whether you want to work for yourself or for a business. Both have their positives and negatives. If you work for yourself, you are responsible for paying taxes and other deductions, keeping your books, and managing the marketing and sales of your product or service. If you prefer to let others worry about the business details, working for someone is probably best for you. Then you must decide how much you want to work. If you know you only want to work part time, that’s great. If you need to work full time to supplement your income (or because you really enjoy it), then be sure you only apply for positions that fit your requirements. The same goes for working for yourself; it’s easy to start a business out of your home with part-time expectations that balloons into a full-time-and-then-some proposition. Be proactive. The best time to begin building the foundation for your second act is before you retire. But first, use your list of inspirations to focus your direction. For example, you love woodworking and making old-fashioned toys. In the past, you only made them for family and friends. Now, try taking them to a few craft shows to get a feel for whether this hobby could become a second career. Or if you want to work for a business, hone your networking skills while you’re still employed and put out feelers for possible post-retirement options. Many people appreciate the wisdom that comes with experience and may even offer ideas or jobs. Another way to find out if a second career is a good fit for you is by taking a quiz that lets you see if your personality type is well-suited for that job. If you ever thought a job that takes you on the road might be a great way to spend your retirement, check out our blog, “Long Distance Driving: Take this Quiz to Find Out if It’s Right for You.” AARP also has a “Second Careers Quiz” to help you establish whether you’re ready for your second act. Your friends and family are also great resources. People who know you well may see attributes in you that you don’t. Being open to or even seeking out their ideas can add a new dimension to your search for the perfect second act. Good luck!